German StuG III modification E self-propelled artillery gun class assault gun in winter camouflage coloring. 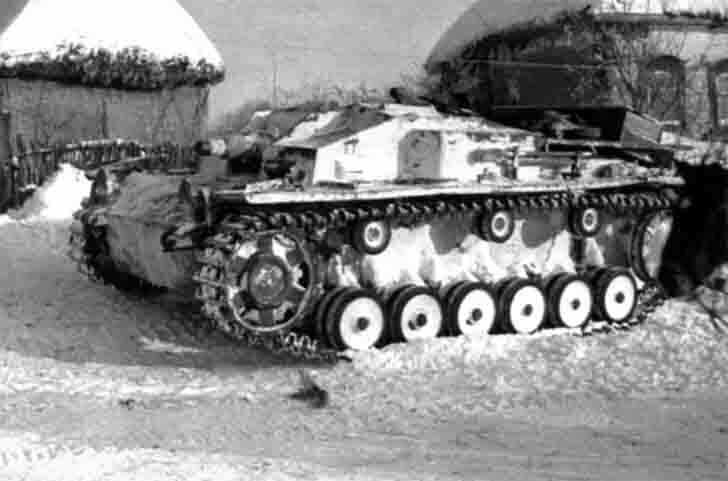 Sturmgeschütz III (StuG III) – the medium German self-propelled artillery unit class assault guns of World War II on the chassis of PzKpfw III medium tank. Commercially produced in different versions from 1940 to 1945 and became the most massive in numbers representative of armored vehicles of the Wehrmacht (issued 8636 self-propelled guns with 75-mm guns).